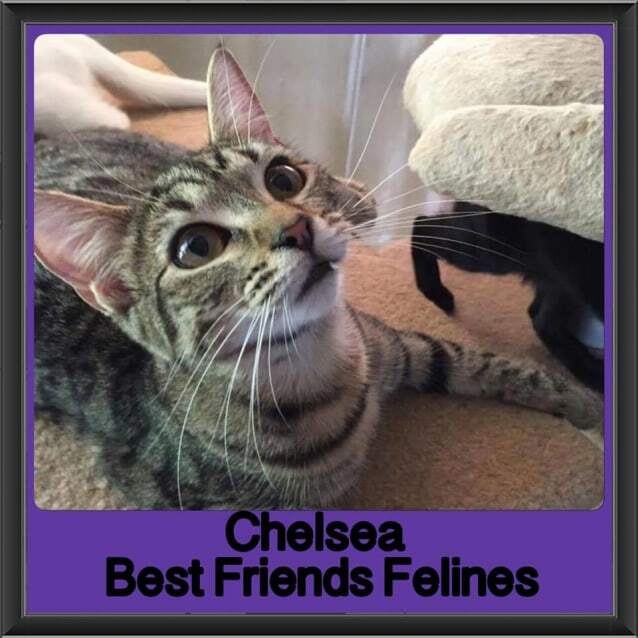 Chelsea is an affectionate girl who loves a snuggle. You can walk around the house doing different things with her in your arms. She doesn't mind. Chelsea loves to knead (make bread) you and purr when she is happy and content.